Powers: Superhuman Strength,invulnerability, and flight. 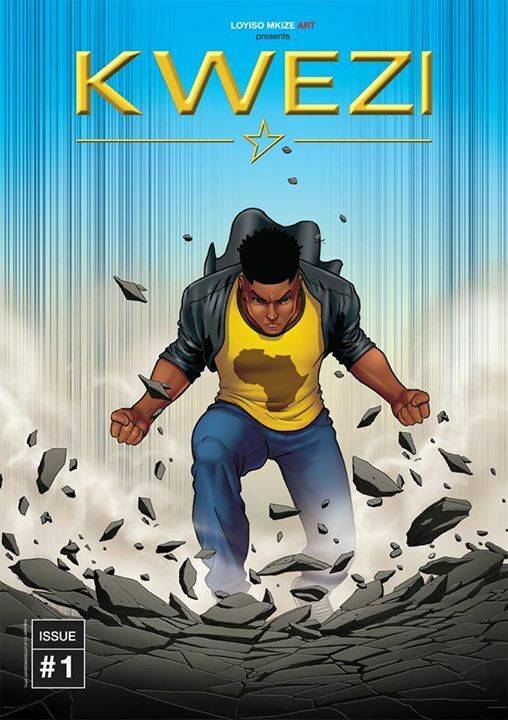 I love it when characters have a touch of realism to them; Kwezi looks like the kinda guy you’d bump into on the train. Fantastic art! Perchance, does anyone here know where one could buy this comic? From googling, I’ve found various articles and such and have come away with the knowledge that there are currently 3 issues and a special supplementary story out so far, but other than a link to a free viewing of the 1st issue, no mention as to where exactly these stories could be bought was in sight, or not my sight, anyway.